We would like to take this opportunity to warmly thank the teams behind the partnerships and collaborations that we have put in place for many years. Museum of History and center for the promotion of relations between Lyon and China, the New Franco-Chinese Institute joins the long relationship history between Lyon and China. Created on the initiative of Lyon metropolis, the city of Lyon, the Chamber of Commerce of Lyon and the Aderly as a platform for exchanges between Lyon and China, the association New French-Chinese Institute develops bridges between the economic, academic, cultural and associative worlds. The project of the new French-Chinese Institute has already brought together numerous institutional and private partners, including CENTRALP (and its sister company IRIS Inspection Machines). “CENTRALP looks forward for several years to the Asian market and in particular China, so it is only natural that we are involved in the creation of the New French-Chinese Institute.” “explain Jean-Luc LOGEL, CEO of CENTRALP. Aerospace Cluster Rhône-Alpes Auvergne brings together aerospace companies, research laboratories and training centers in the Rhône-Alpes-Auvergne region (France). The association bring together industry players around a common goal, make Rhône-Alpes-Auvergne a recognized player for its capacity to develop innovative technological solutions for the aerospace sector. CENTRALP is a member of AEROSPACE cluster. CENTRALP is an active member of the first French SME Defence, Safety and Security cluster, founded in 2008 as an initiative of six Rhône-Alpes businessmen, with the support of the Lyon Chamber of Commerce and Industry (CCI) and the General Directorate for Armament (DGA): EDEN (European Defense Economic Network). The cluster member companies cover four areas of complementary activities: Equipment for aircraft, ships and vehicles; detection, protection and monitoring; engineering and testing; personal protection. By pooling their know-how and innovative technologies, EDEN members propose customized solutions at competitive prices. CENTRALP is a very active member of the EDEN cluster. 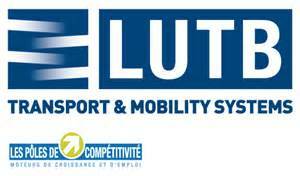 Founded in 2005, LUTB Transport & Mobility Systems is the only cluster in Europe focused on the key environmental, societal and economic issues formed by the system of people and goods transport in urban areas. CENTRALP with LUTB aims to meet the challenges posed by the increased need of people and goods mobility by providing innovative, demonstrated and evaluated answers. Representing the European rail manufacturing industry, this association brings together more than 80 companies working in such sectors as design, manufacturing, maintenance and all related equipment …. UNIFE also brings together 15 European railway associations. The organization’s members represent over 86% of the rail market in Europe and 46% of world production of railway equipment and services.